GMAT CR: “Strengthen” Question of the Day! A broken shard of glass found in the laboratory of the famed physicist Alhazen has a polished surface that separates out the green and blue spectrums of white light, a key characteristic of a dispersive prism, which separates white light into all its constituent spectral components. Scientific historians, based on this finding, are revising their histories in order to give Alhazen, the “father of modern optics,” credit for the discovery of the dispersive prism, which was thought to have been discovered many years later. Which of the following, if true, most strongly supports the historians’ decision to revise the history of optics? 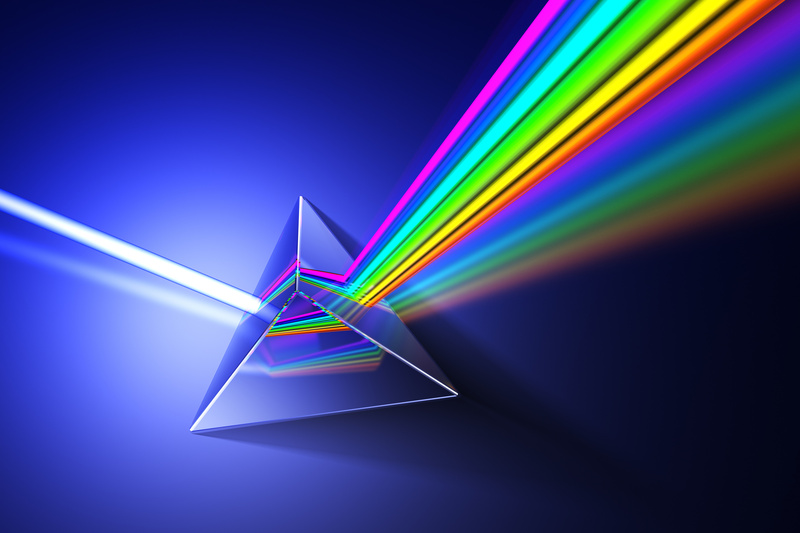 A. Dispersive prisms were the only type of prism that was theorized about in the scientific era in which Alhazen lived. B. The piece of glass from which the shard broke, if unbroken, would have been just large enough to separate out the entire spectrum of white light into its spectral components. C. The piece of glass was a combination of flint glass, which was known to have been used by Alhazen to craft lenses in his laboratory, and crown glass, another popular type of glass throughout history. D. Dispersive prisms are the simplest and most common objects that are able to divide white light into its constituent spectral components. E. Several glass objects that are known to have some properties of a dispersive prism have been found to be older than the glass piece in Alhazen’s laboratory. Conclusion: Historians give A credit for prism. Evidence: Glass found that has characteristic of prism. Assumption: Glass not there by accident; glass definitely means A “discovered” prism. Prediction: Anything that links this glass to the prism, removes coincidence. A – Other prisms out of scope. B – This connects the glass to the prism. C – The type of glass is irrelevant. D – This is just a fact about the prism. E – This would weaken, since it makes the glass/prism link less strong. The Verbal section of the GMAT consists of 41 questions that you must complete in 75 minutes. Critical Reasoning is one of three Verbal question types you’ll see on Test Day! In this video, Abi from GMAXOnline reviews the basic format of CR questions, discusses what an argument is, and the parts of the argument: premises, conclusions, assumptions, inferences. She also covers some of the common keywords to look out for on this question type! As you can see in this video, there are more than half a dozen question-types. Always determine what type of CR question it is by reading the question stem first. This 3-step method is a general guideline for all the CR question types. This is a “weaken” questions as shown by the phrase “would most weaken.” Weakening questions are one of the most common CR question-types. Check out more practice Critical Reasoning questions on Learnist! Working Girl – The “Legally Blonde” of the business world, Melanie Griffith plays a lowly employee struggling to be noticed and climb the corporate ladder. A great “triumph of the little man” movie, the lesson here is that no matter what your GMAT score is, or your business school credentials, hard work and talent always pays off! Wall Street – Michael Douglas’ portrayal of Gordon Gecko is superb, and this quintessential “greed is good” morality tale will definitely make you think twice about what company and who you work for! Glengarry Glen Ross – Interested in real estate? This take on a group of salesman at a Chicago real estate office will force you to question your personal ethics and consider just how far you’d go to make money and keep your job. An all-star cast features Jack Lemmon, Al Pacino, and Alec Baldwin. The Pursuit of Happyness – A heartwarming film about Will Smith struggling to begin his professional career and take care of his son, it has similar themes to Working Girl. After the cutthroat atmosphere of Wall Street and Glengarry Glen Ross, this is a great film to inspire you! Remember to give yourself at least one day a week to relax and take a few hours to watch a movie, go for a run, or do another totally non-GMAT-related activity! You need a little bit of fun sometimes to avoid total GMAT burn-out. GMAT CR: “Weaken” Practice Question! Try this “Weaken” question — remember to take notes on the passage, then compare them to mine! Although the organic farms in the agricultural community of Greendale are destined to shut down within the next decade as a result of competition from the organic mega-farm Full Foods, the farmland will not go unused for long. In the decade since the opening of OmniFoods, Inc., a non-organic farm conglomerate, a new owner has bought and reopened every farm in Greendale that has shut down due to competition with OmniFoods, Inc.
A. Many customers of OmniFoods, Inc. are expected to buy less nonorganic food than they did before the Full Foods farm opened in Greendale. B. The new farms that have opened in the agricultural community of Greendale since OmniFoods, Inc. opened have been primarily organic farms. C. Many farms in Greendale sell produce that is not available to buy from either OmniFoods, Inc. or from Full Foods. D. The demand for organic food is expected to increase at a faster rate over the next decade than at any time over the past fifty years. Here’s how to break this one down! Conclusion: Farmland will not go unused when small farms shut down. Assumption: What is true for non-organic Omni is true for organic Full Foods.